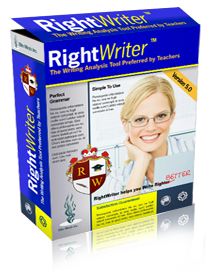 RightWrighter is unbelievably easy to use. Copy and paste, or import your file. Save yourself hours of proofreading time and finish fast. Our Help Desk System allows you to track your request, see all replies and you will receive an email with the reply from our support department. You can also access your answer through the trouble ticket system which is important because email is often unreliable. We have found the ticket system to be much more reliable than email. Many people use unreliable mail services(like MSN.com or AOL.com) or over zealous spam filters which filter out responses to questions. Using the above ticket system link will allow you to see a response on the website and receive it by emai. You will receive a web link to your ticket and an access code so you can return anytime to see any responses if you do not receive our email response. We usually respond within a few hours or less but it can be up to 48 hours during busy times or weekends.